Rona welcomed everyone and in particular the two new committee members Alice and Diane. Apologies had been received from Faith Ward. The minutes of the last meeting of September 17th 2013 were accepted. This problem had been further highlighted at the Annual General Meeting where a resident’s letter was read out, explaining the difficulties and dangers of pushing a wheelchair along pavements blocked by parked cars. Marlene had sent a response to the September minutes and mentioned yellow lines which had been discussed at the parish meeting but Cllr Blacklock had said would not be possible. At the October Parish Council meeting, councillors had considered putting notices on cars which were parking on pavements. Community Support Officers could now issue penalty notices. It was acknowledged that the problem still existed but progress was being made. 25 people in the survey said they didn’t know how to contact the Residents’ Association. It was agreed that contact details for the Chair and Secretaries would be included in all future editions of the Bugle. The Parish Plan survey had been carried out with children. There had been no further offers of advertisements for the Bugle. Flanders poppies - Hilary now had seeds for the poppies which were to be sown on a strip of the Jubilee verge. Broadband – Paul Thornton is leading on this. All other matters arising were to be covered by the agenda. Website and how to move forward. It was agreed this item was on hold. Although the development of a website had been agreed in principle, funding needed to be raised. Feedback from the Parish Plan might also help with this. This item was to be discussed at the next meeting. Terry said he was still operating as part of the team. One problem was capturing sufficient information about cars exceeding allowable parameters. Reports were generally followed up by the police but there were problems doing so with fleet cars. Thanks were to be conveyed to the Speedwatch team. John Whitehouse had reported that the new 30mph speed limit for parts of the village and 20mph outside the school was to be implemented next year. At that point, the priority situation on Cromwell Lane bridge would be reversed. These had been replanted on the Jubilee verge. 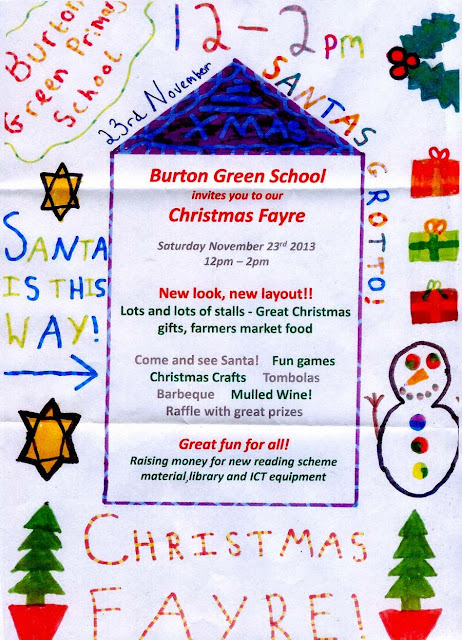 It was agreed to purchase two new tubs, compost and bulbs at a cost of £60 to be placed by the Burton Green sign on Red Lane. A proposal was presented for an evening get together for Burton Green young people who had been involved in the parish plan survey. However, before further detailed plans were made, it was decided to investigate the need for DBS clearance for someone taking charge of the evening and the position regarding licensing for the showing of a film. This was an ongoing problem. Although a 28 seater had been provided, it was often late and its unreliability meant it was not being used so much. Rona and Cllr. Whitehouse were continuing to work on the problem. This had been agreed at the last meeting. An outdoor electricity point had been offered by a resident whose land adjoined the Jubilee verge. Mary felt a tree in that position would not restrict the view of drivers turning out of Red Lane. Hilary had asked WDC about being allowed to tap into a street lamp and she was told this was possible at a cost of £300 as a permanent fixture. The electricity cost was estimated at £1.50 for 2 weeks. A licence would be needed too. It was agreed this item should be considered for fund raising for Christmas 2014. The Parish Council could be approached to purchase lights for the tree. Diane would speak to Rob Barnes about the cost of a tree. Tuesday December 17th was agreed for carol singing around the tree. Members of the choir would join in as part of the communal singing. The availability of the Village Hall would be checked for the serving of mince pies and mulled wine afterwards. Donations would be requested to cover costs. A police meeting had been held recently with a community safety ambassador. PC Pete King issued safety messages. The Parish Council would invite them again to the Parish Meeting in the spring so that not all meetings were in the daytime. The Jubilee Committee subgroup had met once and members were still researching the idea of a Jazz Evening to be held on June 14th at the Stanworths’. Further information would be brought to the next meeting of the BGRA committee. Kathryn said that the feedback to the plan was still being analysed. The ongoing task was the production of an attractive, easy-to-read report which captured all the valuable comments. It was hoped that this would be available within the following two weeks. Thanks were expressed to Kathryn and the group. Cllr Cox had spoken to WDC planning department and it was felt that the outline plans for the park homes was not in accordance with current planning permission. In light of other developments in the area (to be discussed later in the meeting), the site would have to be in keeping. Kathryn reminded everyone of the Village Hall AGM to take place on Friday November 22nd at 7p.m. All were welcome and cheese and wine would be served. A craft fayre was to take place at the hall on Sunday November 24th 11-4 with 18 stalls. A cafe would operate as usual. 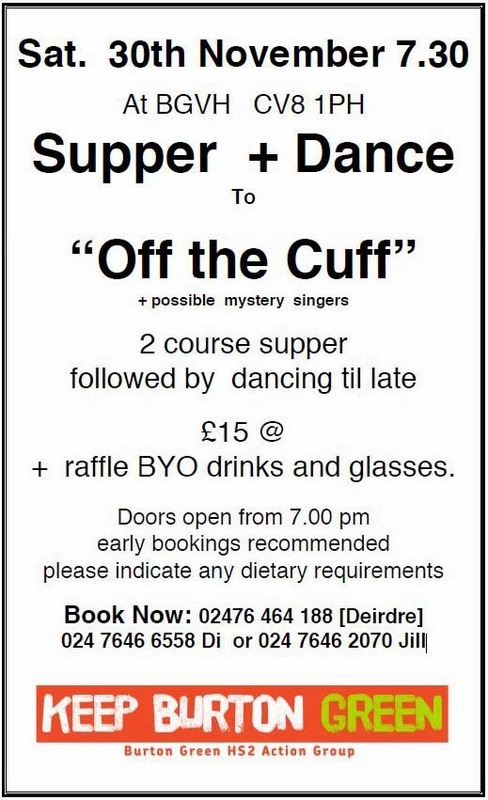 Local band “Off the Cuff” would be performing at a supper evening on Nov 30th for anti HS2 funds. The Village Hall committee was aware of parking issues in Hodgett’s Lane. The constitution and the hirers’ agreements were currently being rewritten and the committee was looking at signage for the car park about being courteous to neighbours and consulting with the planning officer about the location of signs. The Village Hall outside light was not working and measures were taking place to resolve this. The Village Hall committee was always looking for new members. A suggestion was made about a group of “Friends” or volunteers who would not wish to join a committee and be expected to attend every event, but would probably be happy to be called upon to put out tables and help set up events etc on an occasional basis. Mention was made of the original village hall plaque and whether it could be re-installed. Thanks were given to the Village Hall committee. Andy reported that the hybrid bill was likely to be published the following week, hence introducing a new phase. Petitions would be able to be submitted the following spring by “affected parties”, although it was not clear what the definition of this term was. It was suggested that joint petitioning by interest groups would be a good approach e.g. by those involved in proposing tunnels; by those concerned with access and income protection e.g. the school. Further guidance was needed from WDC. Much more would be known after the publication of the hybrid bill. It was felt that the Parish Council should lead on this and that a working party should be formed. The Judicial Review was still outstanding and due any day. The compensation consultation would close on December 4th. Rona and Mary were still to co-ordinate the Residents’ Association response. The mitigation proposal had received no response and the local MP had written to HS2 on behalf of all the action groups and Alison Munro had agreed to respond. The next Action Group meeting was scheduled for December 8th. A new clerk had not yet been appointed. At a Parish Council meeting on the previous evening, a presentation had been given by Cala homes to build houses on the site of Burrow Hill nursery. This site had been chosen by WDC as the best potential site for development in Burton Green. The Local Plan encouraged the building of up to 90 houses and Cala were confident they could build on this site within two years. The houses would be of 2-3 bedrooms and 40% would be affordable housing targeting people from the local parish. The site would also accommodate a playing field available for use by the school, parking, a new village hall and almshouses. The current owners of the site had made a proviso that a playing field and village hall should be incorporated into the scheme. The Parish Council had been disappointed to find WDC and Cala homes had been working on this proposal which they felt had been presented to them as a fait accompli. There had to be a 6 week consultation period with WDC and it was agreed that residents should be made aware of the situation as soon as possible so that they could feed back their views. A meeting should be called with Cala present to present their plans. Was this something the Parish Council should lead on? It was suggested a display of the plan and artist’s impressions should be made available at the Village Hall and that a meeting should be called as soon as possible. December 13th was suggested subject to availability of the Hall. Terry went through the report explaining that the only recent major expenditure had been on the printing of the Bugle and the AGM agenda. A number of items of expenditure were covered by income but he advised on caution with regard to spending as the cost of many small items soon mounted up. Additional fund raising would be necessary for some items such as a website. The Residents’ Association needed to have a “cushion” of funds but at the same time, residents quite rightly wanted to see what their money (in the form of annual subscriptions) was spent on. Mary agreed to create an inventory of the catering equipment now owned by the Residents’ Association. Rona reminded everyone that the owners of the Water Tower had offered to have an open day when the building work was completed and perhaps donations could be requested to provide further funds. Meetings would be arranged in 2014 on January 7th, March 18th, May 6th July 8th September 16th and November 18th. A damaged lamp post in Red Lane was being repaired. The Parish Council had applied to join 51M, the group of councils opposed to HS2. The Local Authority was discussing boundary changes. There was some uncertainty over which Parish Council the University would belong to in the future. Editions of the Bugle would be produced in February/June/September/December 2014. A fund raising event for the Philippines disaster was to be held at lunchtime on Saturday November 30th in the Village Hall from 10-2. 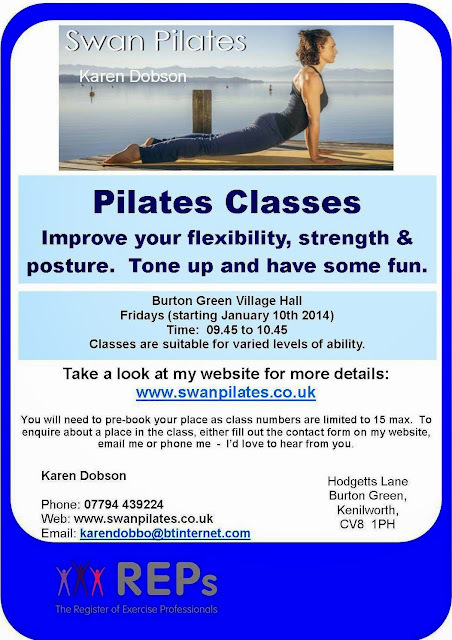 Kathryn pointed out the success of a regular cafe held at Shilton Village Hall. The Parish Council was taking up the issue of mud on the road. The next committee meeting would take place on January 7th 2014 at 7.30p.m.at the Village Hall. Please come along and support this event. 76 470693. 76 471607. 76 471669. 07791745063. The Village Hall Committee warmly welcomes you to join us for cheese and wine at our AGM to be held on Friday 22nd November at 7pm at the Hall. This is a chance for you to hear about all the activities that have taken place over the past year, meet the committee and have your say about the running of the hall. We would particularly like to hear from anyone interested in getting involved and joining our committee. This involves attending a short monthly meeting, help in planning and running events and other duties as required. We would particularly like to hear from anyone with new ideas for engaging with younger people and families to help us to continue to grow and provide great services to the community. 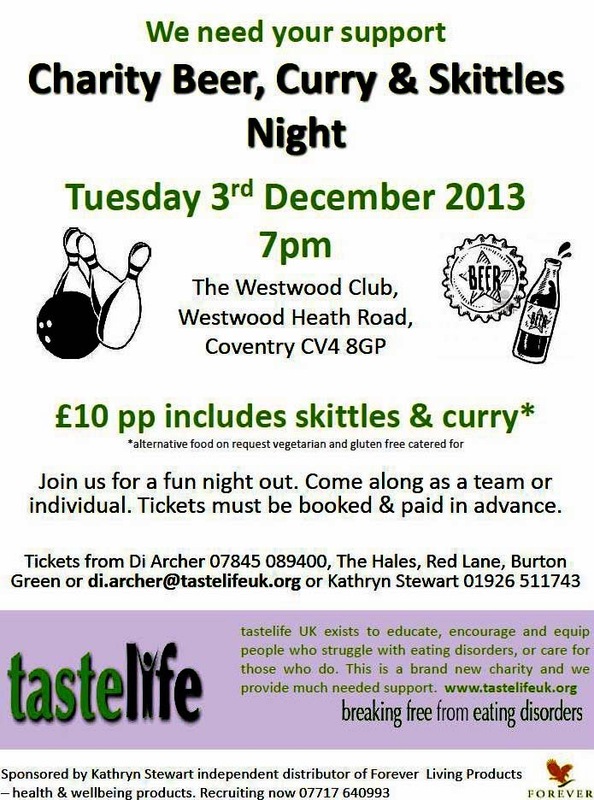 Please contact me for more information or come along on the evening. On Monday, November 25th, there will be a demonstration outside Parliament, and a lobby of peers and MPs. A group from Burton Green will go by bus, perhaps at a cost of £10, and may join up with other local groups. The bus will leave around 8am, and depart from London around 5pm. These details are approximate at the moment. Burton Green enjoys considerable respect, both along the Phase 1 and Phase 2 parts of the proposed route, and it is hoped that as many people as possible can go. Lobby room space is limited. It is probable that many of the campaigners will be free to sample the delights of London after 12.30. There are many attractions nearby. If you are able to go, please phone Archie, 02476 463844. Come along and do your Christmas shopping in the warmth of the Village Hall. paintings and decorated mirrors plus much much more.